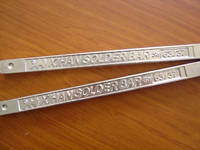 Company Name Ningbo Xihan Tin Solder Co.LTD. Ningbo Xihan Tin Solder Co.LTD. 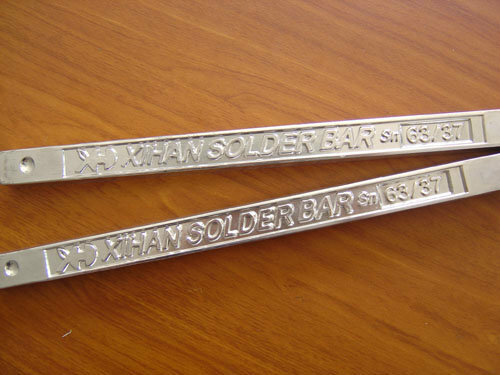 XIHAN SOLDER BAR utilizes 100% processed electroplate in and high purity lead and alloy. And all the products are processed by deoxidation and de-dress and adding special anti-oxidation elements. And the metal elements are superior than GB/T80, L-200, GB/T3132-2001 China; JIS-Z-3282, Japan and QQ-S-571F, America standards. The above-mentioned method reduces the viscosity and oxidation on the surface and promotes the wetting and mechanical strength. And the soldering spots are full and nice in good shape with minimum dross. 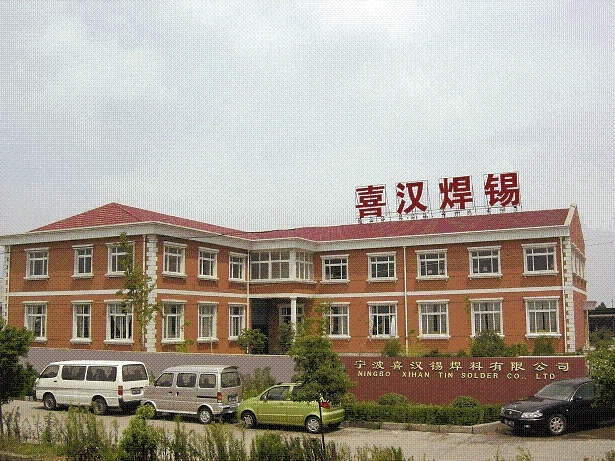 About Ningbo Xihan Tin Solder Co.LTD. We specialized in manufacturing solder wires,bars,desoldering wire, soldering flux paste etc.since 1990. Quality under ISO9001:2000,Lead-free solder with ROHS certificate.